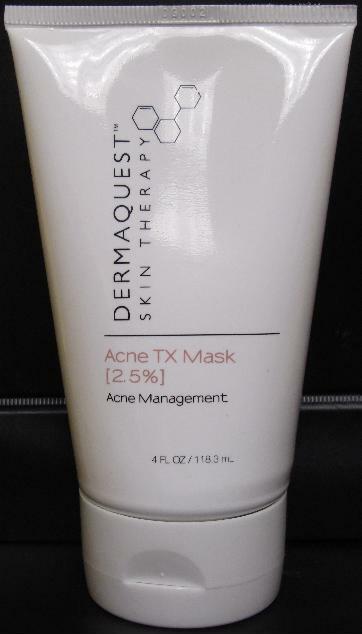 Formulated as a home treatment for acne-prone skin, this mask gently exfoliates the skin's surface with jojoba beads, allowing the follicular-oxidizing benefits of Benzoyl Peroxide to penetrate and take effect. Plant extracts and MSM are also included to increase healing time and assist in preventing future breakouts. Apply to cleansed skin using fingertips. Massage gently in circular movements for 1-2 minutes and then allow the product to remain on the skin for an additional 5-10 minutes, depending on skin tolerance and/or sensitivity. Avoid the eye area. Rinse well and follow suggested post-mark home care reigimen. Use this product according the recommendations of your skin care professional. Skip the massage step with Grade 3 and 4 Acne.